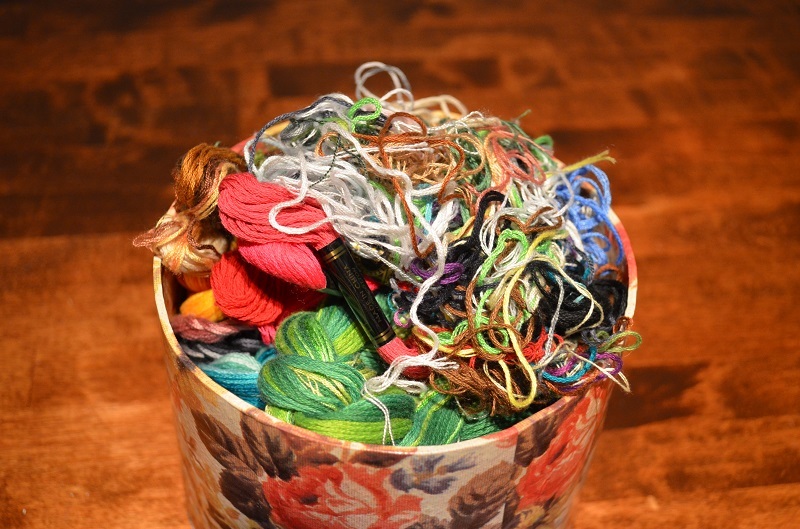 Years ago I asked my mom if I could borrow her embroidery thread for a project. 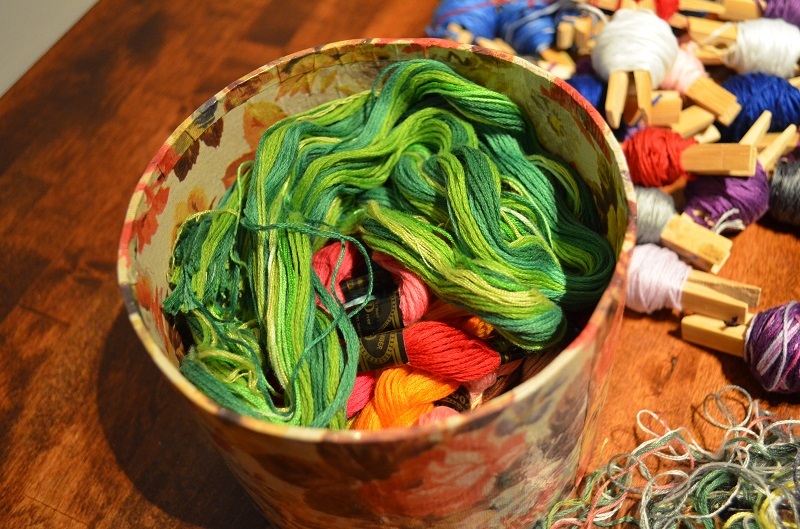 I believe I was cross stitching an image of a house surrounded by foliage and I needed different shades and hues of green so I brought my mom’s giant embroidery floss storage jar home and never returned it. I’m not even sure she knows it’s missing. 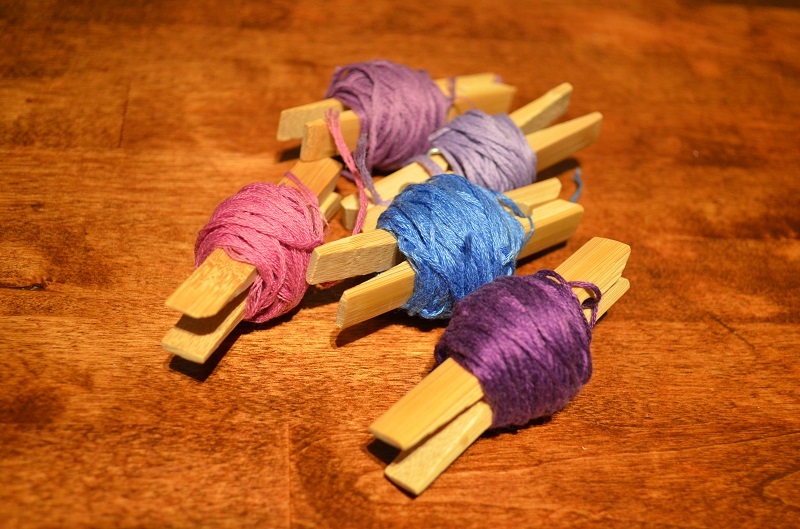 Well, she’ll know now where her threads went. 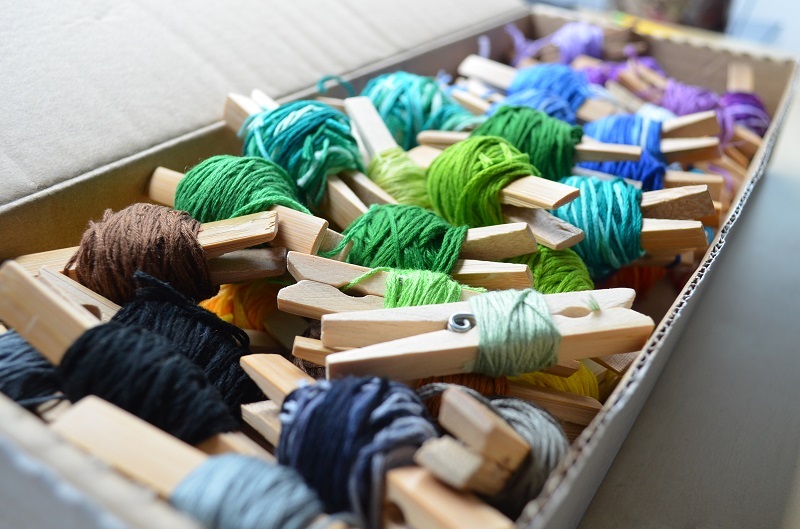 It took several nights of winding thread around sixty clothes pins but at last I finished and now all my (mom’s) threads are neatly wound by colour. 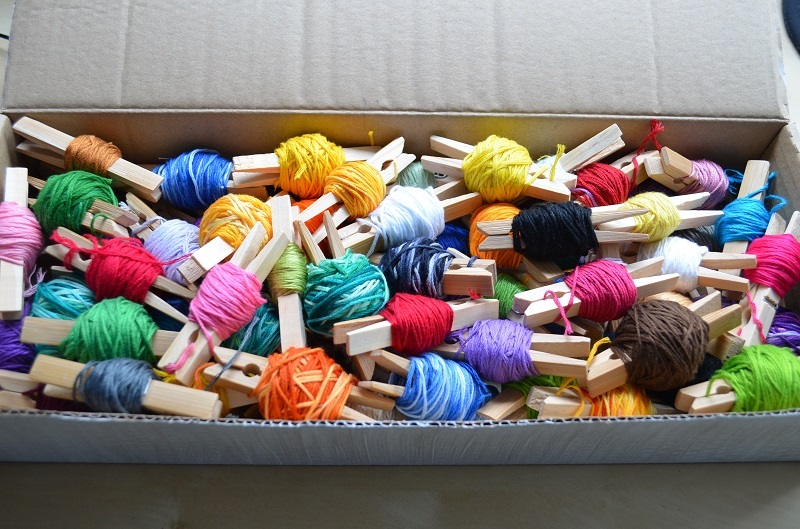 I still needed a container for the floss and one happened to fall into my hands – thank you Ikea for packaging small parts in perfectly sized boxes. 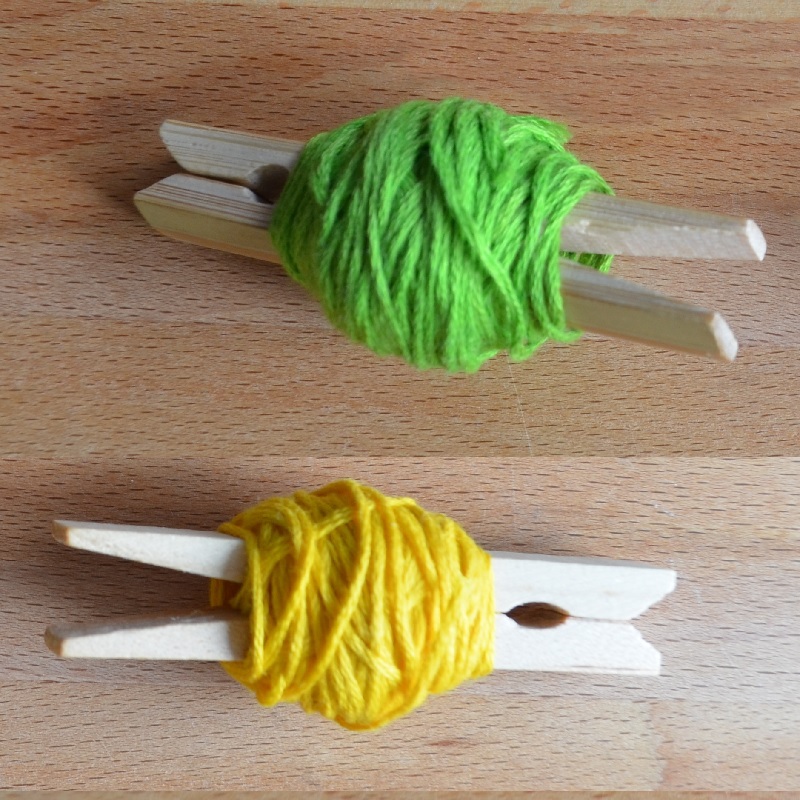 But this yarn storage system is pretty flexible, I was also thinking of just clamping the clothes pins to my drapes and adding some colour to the room!